Brand new project by Madison Homes, the Zigg Condos have everything you need. 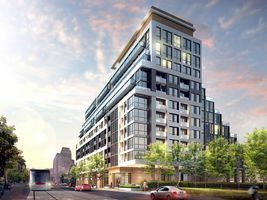 Just steps away from the TTC, this condo will be all about convenience. Zigg Condos will be a boutique mid-rise building (11 storeys) located at 223 St Clair Ave W in Forest Hill, with 166 stunning suites. Unique terraced design. All the hot spots moments away. Transit that keeps you connected. Modern amenities to keep you entertained. Prices are starting in the low $300's, and suites range in size from 472 sq ft to 1796 sq ft (1 to 3 bedroom suites and townhomes). VIP sales are currently underway. Contact me for more information, or if you want me to set up an appointment with the builder to invest in this project.